This summer, EPIC Pop-Up will offer Downtown Miami a new rooftop restaurant, bringing upscale Mediterranean fare and a large-format cocktail menu to Kimpton EPIC Hotel. Opening on Friday, July 13, the culinary destination will offer an approachable rooftop dining option to the area, complemented by enviable views of Biscayne Bay. Perched on the sixteenth floor of Kimpton EPIC Hotel, EPIC Pop-Up will offer an intimate poolside dining experience, with unique views of Biscayne Bay. 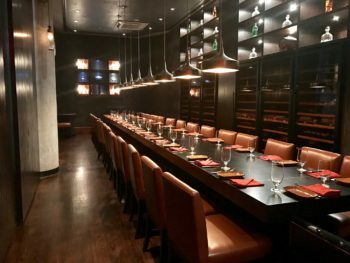 The 45-seat seasonal restaurant will feature Mediterranean tapas menu highlighting staples from Spain, Italy and Greece, perfect for light dining in the Florida summer. Crafted by executive chef Alex Olivier, the exclusive menu will include small plates such as Jamón Serrano con melon, Andalusia marinated olives, stuffed dates, conch salad and mussels escabeche. Large Plates will include Spanish suckling pig, local grilled fish Provençale and cazuela de gambas al ajillo (Spanish-style prawns with garlic and olive oil). A whimsical large-format cocktail menu will complement EPIC Pop-Up’s dinner menu. Lead Bartender Benny Hernandez will create shareable punches, served in unique and creative vessels. “Summer is all about having fun with friends and sharing time with them,” says Benny. “My cocktails will definitely encourage our guests to be interactive, social, and have a good time.” All cocktails will feature seasonal ingredients and tie into the energetic climate of Miami summers. EPIC Pop-Up will be open Friday, July 13 through the remainder of the summer season. The rooftop restaurant will serve dinner on Thursday, Friday and Saturday evenings, from 6PM to 10PM. 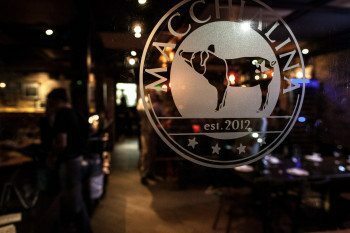 Miami Beach hotspot for rustic Italian fare, Macchialina, is extending its incredibly popular Pasta Thursday promotion to a weeklong celebration to thank the Miami community for voting the cozy trattoria “Best Restaurant on South Beach” in the Miami New Times Reader’s Choice. Throughout the second week of July, guests will be able to enjoy a selection of $10 pasta dishes on Monday 7/9 through Thursday 7/12 all night long, *cue Lionel Richie*. Yes, $10 pastas #ALLNIGHTLONG. Please the palate and the wallet by indulging in handmade pasta crafted by Chef/Owner Michael Pirolo including a rotating weekly menu of specials and house favorites such as Caccio e Pepe with pecorino and fresh pepper; Lasagna with short rib and taleggio; and the Cavatelli Macchialina with baby meatballs, porchetta and pecorino. Time to pack your bags and get ready for the next stop in Chef Richard Sandoval’s exciting culinary Destination Series at ToroToro – Peru. Start this savory experience with a sweet and spicy himachi tiradito, steamed clams or quinoa soltarito, followed by traditional arroz con pato, bronzoni, or beef cheeks asado. Finish your tour and satisfy your sweet tooth with a Suspiro de Lima + dulce de leche based out of manjar blanco. For a limited time only (July 1- July 30), you can savor the kitchens of Peru without a passport and for only $39. 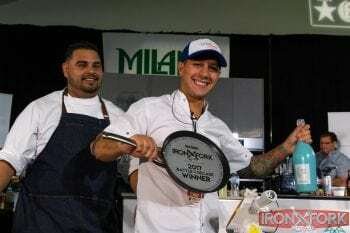 Miami New Times’ Iron Fork celebrates its 11th year on Thursday, October 4, 2018, at the Hyatt Regency Miami. This annual tradition has been one of the culinary highlights of the year where dining enthusiasts can enjoy dishes from some of the finest restaurants in South Florida. The sprawling event will extend into the James L. Knight Center’s world-class theater and entertainment venue next door. 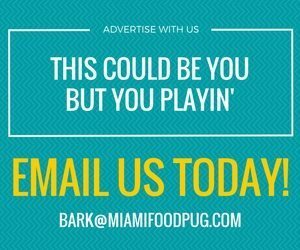 This year’s Iron Fork will be exponentially larger, gathering culinary creations from more than 60 of South Florida’s luxury and fine-dining restaurants, including Amore de Miami, Toro Toro, Taula Fresh Mediterranean Grill, Boss Burger N Brew, Mason, Finka Table & Tap, Amelia’s 1931 and Hard Rock Cafe. As in past years, celebrated chef Allen Susser will oversee the Chef Competition, a fierce fight to the culinary finish between two of Miami’s hottest toques. 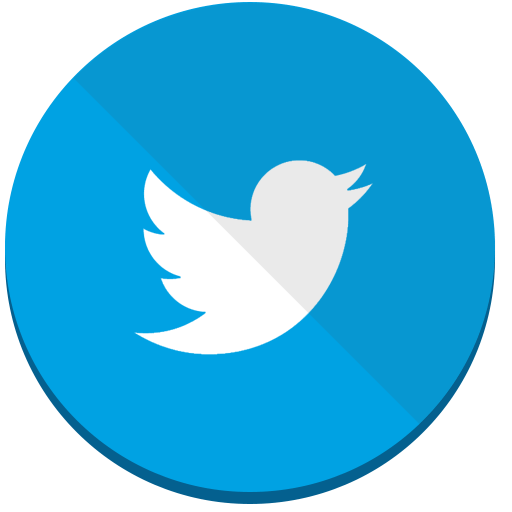 The competitors will be announced soon! Also continuing this year is the Michael Shikany Knife of Excellence Award; two Johnson & Wales students will compete for funds raised to continue their education in culinary school. The epicurean event will take place from 7 to 10 p.m. for general admission ticket holders and will bring together thousands of young professionals, local businesses, and foodies for an evening of gourmet food selections, tasty libations, and live entertainment. Guests who prefer a more intimate dining experience can purchase VIP tickets, which include entry to the event one hour early, at 6 p.m., and access to a private VIP bar and lounge area with complimentary Estrella Damm beer, VOGA Italia wine, and Banyan Reserve vodka. 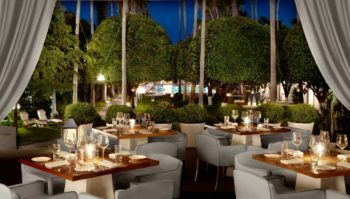 On Tuesday, July 17th, LEYNIA at Delano South Beach + Chef du Cuisine Guillermo Eleicegui will host a 5-course collaboration dinner with Chef Jose Mendin, the force behind the Pubbelly dynasty, now known as Food Coma Hospitality Group, and Habitat at 1 Hotel. This one-of-kind dining indulgence is part of the restaurant’s monthly guest chef dinner series called Parrilla Con Amigos (Grill with Friends), which invites notable chefs from across the globe to share in the favorite summer pastime. The James Beard Award-nominated Chef will cook side-by-side with Chef Eleicegui in the LEYNIA kitchen to present diners with a surprise feast not yet released. The anticipated menu will feature dishes by both chefs as well as collaborative efforts, all paired with select wines. For $95++ pp, guests can enjoy this mouthwatering, family-style meal available for one night only. Seating is limited. For reservations, please call (305) 674-5752. 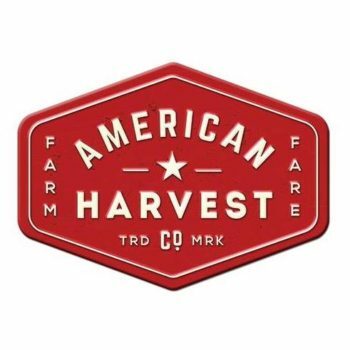 The made-from-scratch, clean eating, fast-casual concept American Harvest, by Coconut Grove-based restaurant firm Grove Bay Hospitality Group (GBHG), continues their ‘Limited Time Only’ dish curated by local chefs. Every season, a guest chef will collaborate with the restaurant to create a special item, with proceeds from each dish sold benefitting a non-profit of their choice. The series debuted with Chef Giorgio Rapicavoli’s flavorful Mediterranean Bowl. For the second offering, award-winning Chef Janine Booth – of Stiltsville Fish Bar in Miami Beach’s Sunset Harbour neighborhood – has created the Florida Sunshine Lettuce Wraps ($12) with grilled jerk chicken, local mango, avocado, toasted coconut and cilantro key lime aioli wrapped in bibb lettuce. $1 from every dish sold will be donated to Flipany, whose mission is to empower youth and adults through nutrition and physical activity programs. 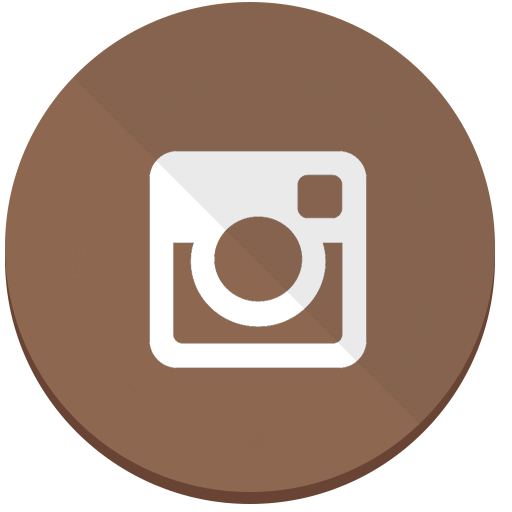 “As a mother, I love how they are bringing awareness to fighting childhood obesity through their innovative programs and I am happy to support this cause with a fun and healthy option,” says Booth. The Florida Sunshine Lettuce Wraps by Chef Booth will be available at both American Harvest locations, beginning Monday, July 16 through the end of September.